What do you say we break a few rules together? 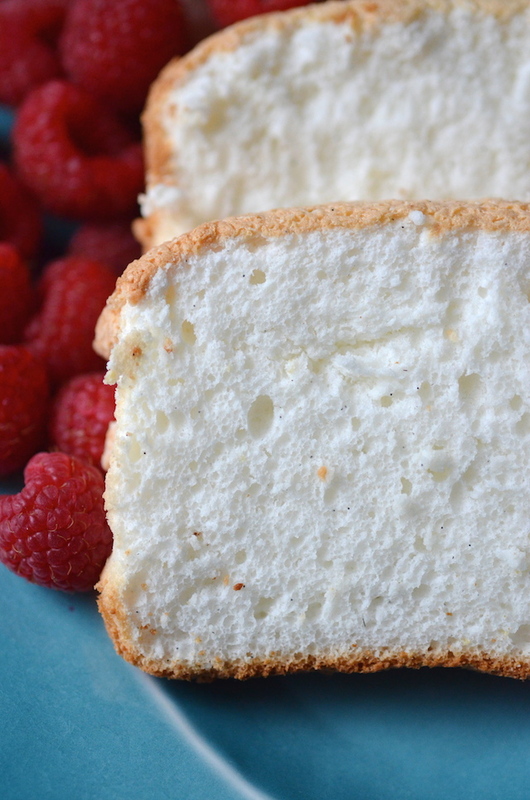 Angel food cake is usually one of those fussy cakes I prefer to completely avoid. Anything that requires special pans and beating and sifting or other extra steps beyond "dump ingredients into a bowl" is just usually way more than I want to bother with. 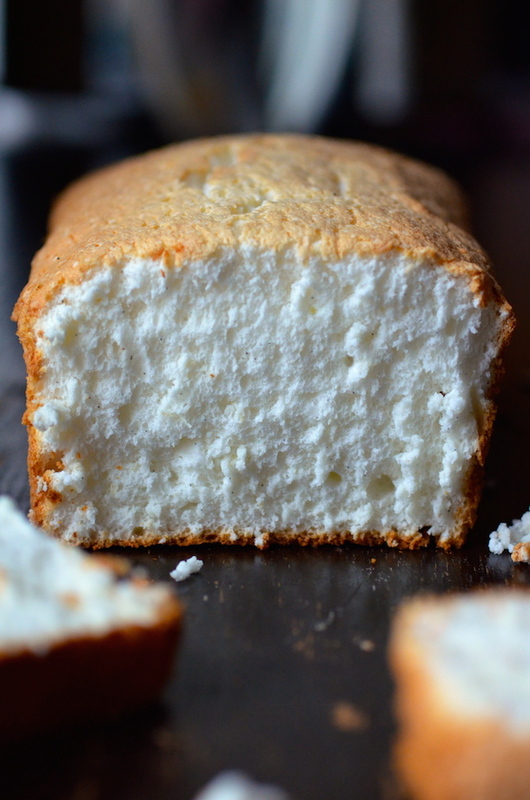 And yet...I've also always been a big fan of these sweet and soft white fluffy clouds of cake. At the grocery store, I have a tendency to pause by them, resisting the urge to poke and squeeze them. And left to my own devices, I will eat the entire thing. I mean...it's basically just air, you guys. Don't judge. I recently went on a citrus curd-making binge (more about that soon), making enormous batches of passion fruit curd and lime curd for no particular reason other than "I like it." 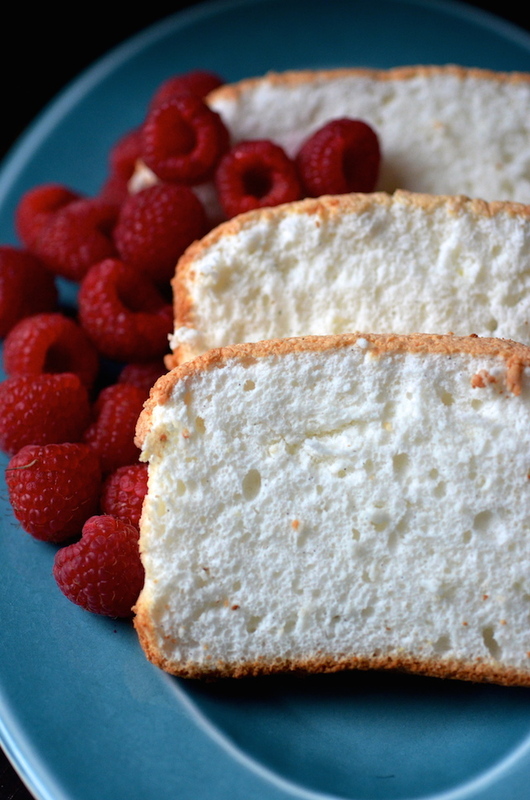 This left me with buckets of egg whites that had to be used up, and so the angel food cake came to be! And though all the recipes said I had to do things like "sift flour and sugar three times" or "use a nonstick tube pan" and "fold in gently one tablespoon at a time," I said "oh to hell with all that!" because I just wanted my cake. So this is what I did: I do not own a tube cake pan and have no plans to buy one, so I just used 2 9x5 loaf pans. The loaf pans were nonstick, which is allegedly a BIG no-no, except that if you line them with foil it does double duty of making them not-nonstick AND making it really easy to remove the cake from the pan. 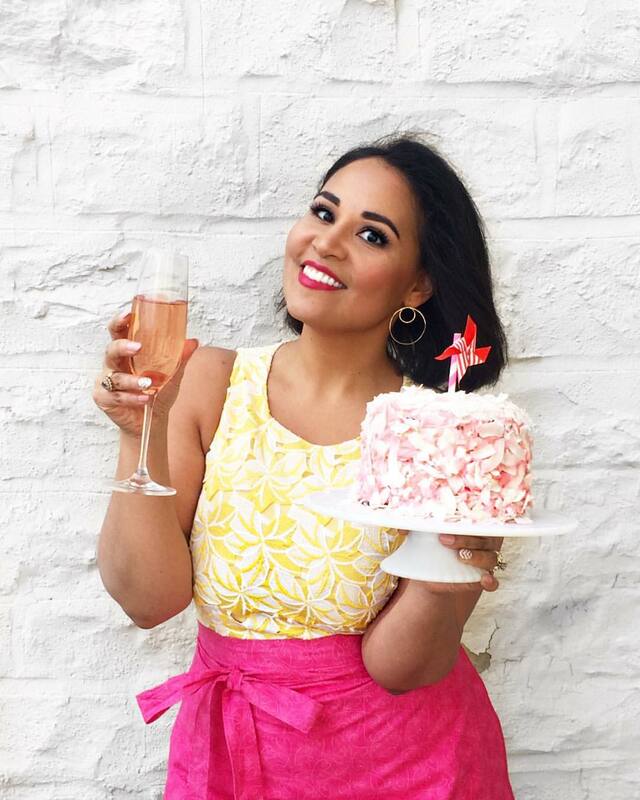 The recipes said I had to sift the flour and the sugar three times, but I was not interested in that, so instead I just whisked them together and poured them into the mixer in a slow steady stream. They incorporated right in without deflating the eggs or boring me to tears. The one thing I DID do was let the pans cool upside-down. This was easy as I just rested them on cans and jars of peanut butter. The cakes came out perfectly. One to photograph and share. And another to eat all by myself. Preheat oven to 350 degrees. Place an oven rack on the lowest rung. 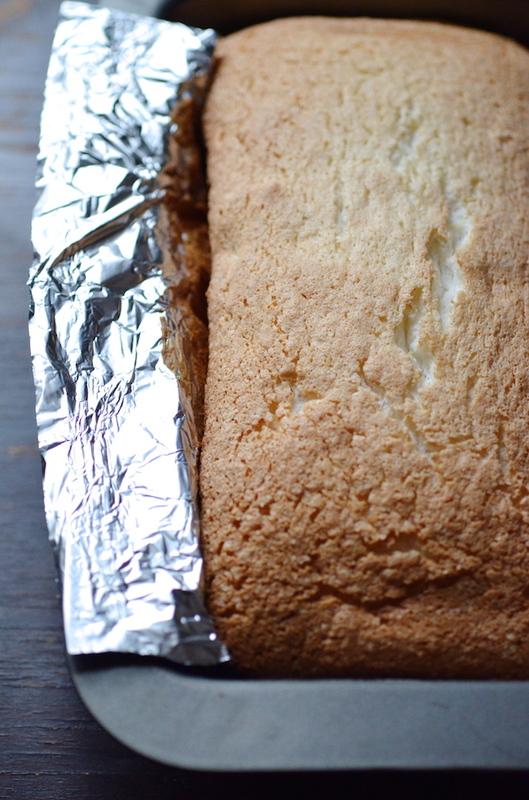 Line two 9x5 loaf pans with foil so that it overhangs on the sides. Do NOT grease the pans. 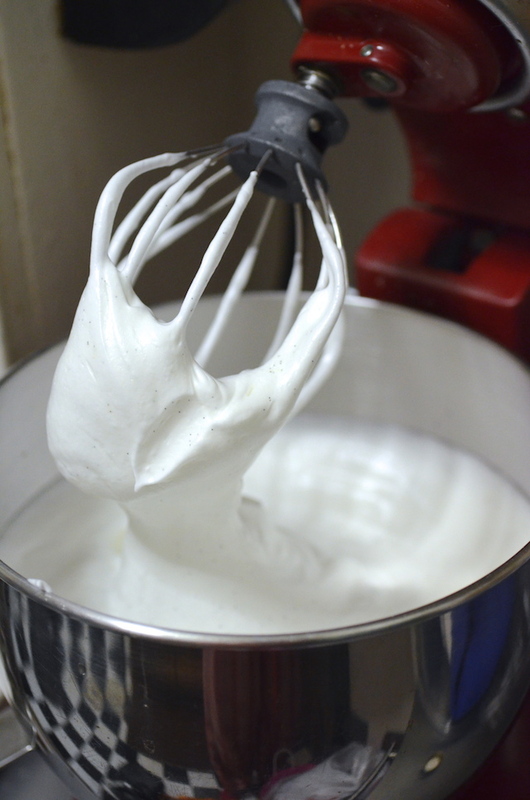 Place the egg whites in a the base of an electric mixer and beat at medium speed for 30 seconds just until it starts to look foamy. Add the cream of tartar and lemon juice, and raise speed to high. Beat until egg whites form soft white peaks. While the mixer beats, slowly add the sugar in a long steady stream. The egg whites will continue to thicken and turn shiny and white. Beat in the extract and vanilla bean seeds, then lower the mixer to the slowest setting and slowly add the flour in another long steady stream. Turn off mixer as soon as all the flour is in. Use a spatula to give it one or two quick folds to make sure the flour is all incorporated, then divide into the two prepared loaf pans. Bake 25-30 minutes, or until puffed and slightly golden brown on top. Remove from oven and cool upside down by balancing edges of pan on two cans or jars. Once completely cool, remove from pan, peel off foil, and serve.